Premune is a specialised veterinary pharmaceutical company, dedicated to improve quality of life for companion animals. With innovative products and leading brands, our group strives to be the partner of choice for pet owners and veterinarians worldwide. We believe all pets deserve treatments that offer the best effect with the lowest possible dose. For this, we offer premium quality, nutraceutical products based on palmitoylethanolamide, commonly known as PEA. PEA is a natural ingredient, produced by the pet’s own body as a defence against inflammation and pain. 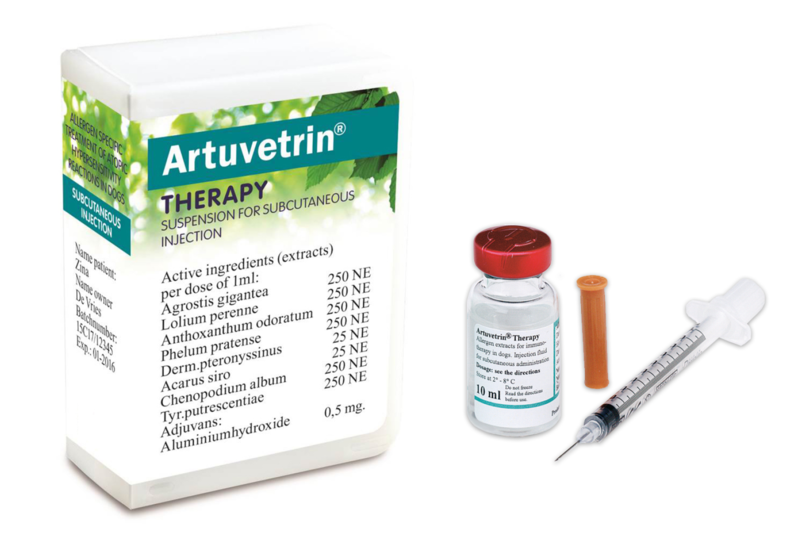 It offers the rare combination of a physiological treatment, together with science-backed efficacy tests. And because PEA is a natural substance, the risk of side effects is very small. 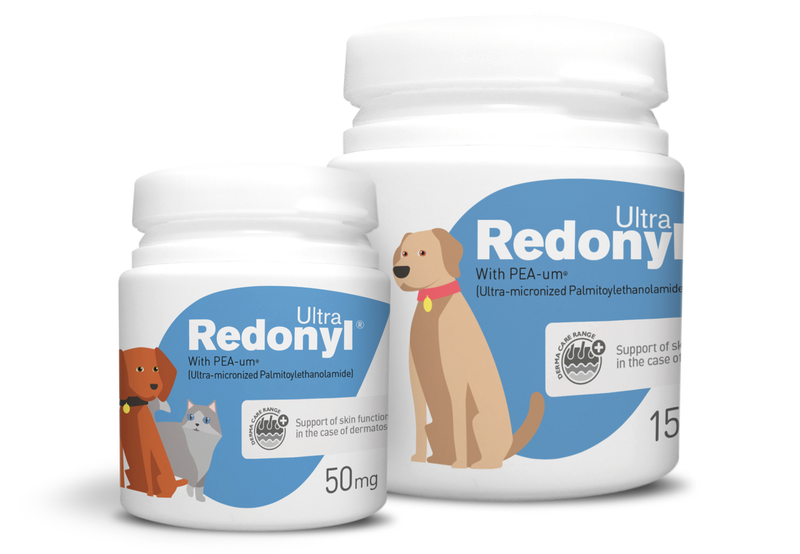 One key PEA-product is Redonyl® Ultra, for supporting a healthy skin function in dogs and cats. Redonyl allows for a safe way to reduce, or eliminate, doses of steroids or drugs with long-acting side effects in control and maintenance of skin problems, such as allergies and itchy skin. Redonyl® is currently available throughout Europe and North America. Contact us to find where to buy! Nextmune, a Premune Group company, is global #1 in allergy test and immunotherapy – a safe, effective and long-term treatment for allergy in dogs, cats and horses. 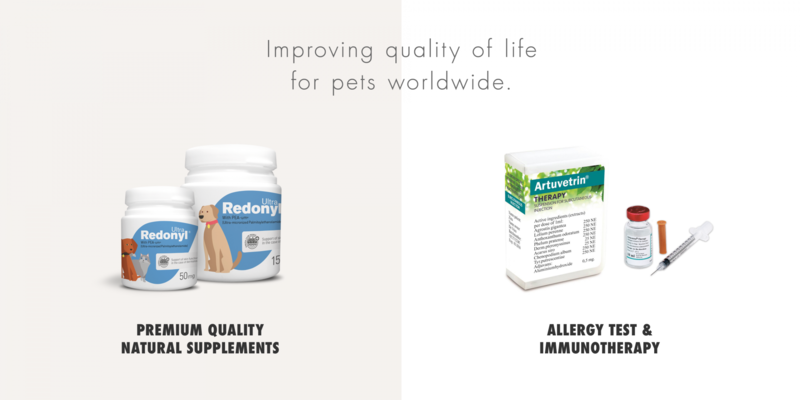 With products sold in more than 70 countries, Nextmune is a trusted partner to veterinarians and pet parents worldwide – a true pioneer in veterinary allergy management. Read more on Nextmune’s corporate website. Do not hesitate to open a dialogue.